Note 1: "Flogs" means whips or sticks. 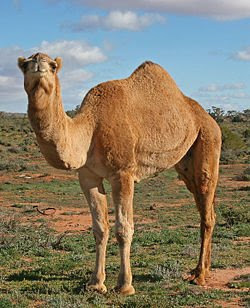 "Bukht Camels" means Persian camels. 2. Women wearing different types of clothes. Their outfits were very revealing, much like the "fashionable" clothing of today. Also, those women had unusual hairstyles, perhaps like the kinds worn by women today. Note 3: The Prophet Muhammad --- predicted the nature of women's clothing in our time. He foretold that fashionable clothing would be revealing of the body. Also, he predicted the nature of women's hairstyles and wigs in modern times. When I took a quick scroll through this post and saw the two eye catching videos, I had wondered how a picture of a woman would relate to a camel. Women wearing clothing but are still naked...We see it everyday and I must say its getting old. seriously, what is wrong with people? I honestly can not see how women can walk around with everything hanging out and feel NO shame whats so ever! Ms Mango- i agree sis but thats shaytaan's trick: to make these things NORMAL and accepted. How bizarre that a fully covered woman attracts more attention than a half-naked one...but that's the current state od the Dunya. We have to ensure we pass on our morals & values to the younger generation & educate people so that at least some people will maintain modesty. Dawah work is so important..
Mina, I think I know what you mean...do you have any pictures/seen anything online that could gives us an example of this? The hadith clearly says "hair" though, not hijab, and refers to women who ar einclined towards evil. I hope that for sisters, even if they are wearing the hijab in a strange way, they are still fully covered. As a hijabi, I find the "hump" that appears with hijab is because my hair is too long to leave in a ponytail..it would show underneath the hijab. I have to tie it into a "bun"- that would give the "hump" effect too. Inshallah there's nothing wrong with that? Unless you meant something different? In my childhood I heard a hadith that there would be music in the mosques (masajid). I thought that that time is far away from us. But a few years ago when I heard a mobile phone ringing in a masjid I realized that Alas it is our time!